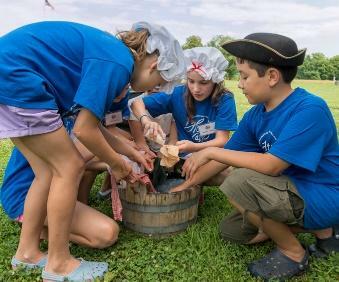 Experience Colonial History locally with field trips! 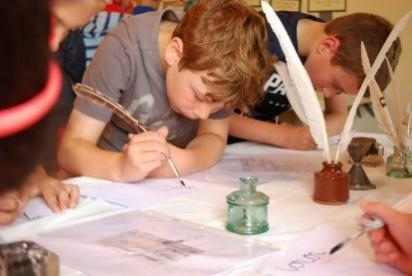 The Smith-Appleby House Museum offers student school groups the opportunity to experience Early American history by offering a host of historically – themed, interactive educational programs designed to entertain as well as educate. The museum provides a real-life context to the history students learn in their classrooms. 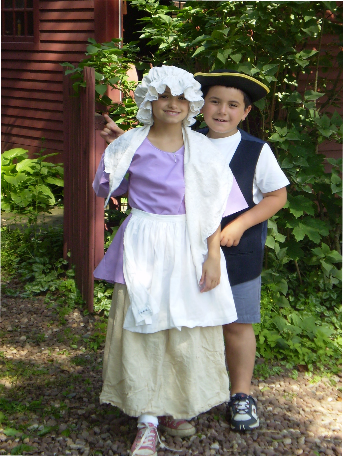 Costumed volunteers and guides provide hands-on opportunities for young people to experience what life was like in Colonial Rhode Island. The programs are offered “by appointment.” Staff is available to consult with school and home based educators and specifically design programs that will meet curricular planning goals and standards. Many lesson ideas for targeting higher level thinking skills are offered upon request. Programs are also available for historical groups, community associations, clubs, and other organizations. Scouting group programs for all ages are available. Activities will be provided based on badge requirements. Eagle Scouts project proposals are always welcome! Field trip prices per student vary according to program selections. Smith-Appleby House tours are always free for children. Additional prices vary between $5-$10 per child and are determined by the activity. Teachers and adult chaperones are always free. The museum requires a child/adult chaperone ratio of 8/1 for these field trip so that children can better participate and enjoy the workshop experiences.